Do You Have Designs on an Ecommerce Website? 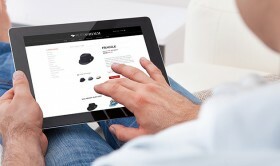 When it comes to Ecommerce in 2014 and beyond, where does your company stand? If your answer is we’re not sure or even nowhere, you have some work to do. In fact, you better start designing an Ecommerce site today and not wait for tomorrow. As more and more business owners have discovered in recent years, Ecommerce is an invitation to added customers and additional revenue. As reported by the U.S. Department of Commerce, online shoppers spent money to the tune of more than $225.5 billion just two years ago, an uptick of 16 percent from 2011. So, still think an Ecommerce website isn’t for your business? Now that you see the potential for having an Ecommerce site, don’t just throw something together in a short amount of time and hope it sticks. Unfortunately, some business owners may rush to put something together, ultimately seeing it get little traction, and then decide that it wasn’t worth it when all was said and done. If done correctly the first time, the site could prove a moneymaker for a long time to come. Easy to get around – Have you ever gotten lost driving somewhere? The last thing you want current and potential customers to do is feel like they’re running around a maze on your site. Make the experience fun from the get-go. After welcoming them to the site, make it simple for them to navigate to the products/services page, allowing them to shop for what it is exactly they need. The checkout process should also be smooth, giving them their payment option (never underestimate the importance of a smooth credit card process). Reload and review – Finally, never take for granted that your site is running on all cylinders. Periodically review it to see that all the mechanics are working the way they should. Along these lines, definitely provide a section on the site for customer feedback (including what needs to be improved). So, isn’t it about time you got your Ecommerce site up and running? Give us a call today 858.677.9931 or contact us online.